About Us - Helping Hands Nursing Service, Inc. 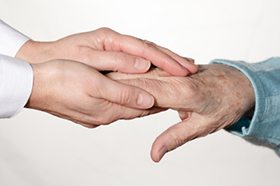 Helping Hands Nursing Service, Inc.
All of our caregivers are dependable, knowledgeable and experienced. Each caregiver is referenced and their criminal background is checked. Also for your protection, we are fully licensed and bonded. https://helpinghandsnursingservice.wordpress.com/ https://helpinghandsnursingservice.weebly.com/ Web Development Firm, SEO Services and Internet Marketing Service by Leads Online Marketing Inc.